This site is best viewed using the FREE Firefox Internet Browser! 1st Title & 1st trip to AC for LaCorte; CBA's 17th Champ and 5th straight year with a champ. 2nd consecutive title for Rivera and 3rd medal. Brick Memorial's 57th champ all-time, most in the Shore. 1st medal for Ecklof. 1st Region champion for SJV since 2004, and 3rd overall. Back to back Titles for Rivera; 3rd medal overall. 18th champ for CBA. 2nd Title for Ghione; 3rd medal overall. 58th Region Champ for Memorial. 3rd consecutive year with multiple champs. 1st Title for McGowan. 51st Champ for Jackson and 1st since 2012. 3rd consecutive title for McClave; 4th medal overall. 39th champ for South, and 6th consecutive season with a champ. 1st Title & medal for Finnerty. 9th Region Champ for Beach and 1st since 2006. 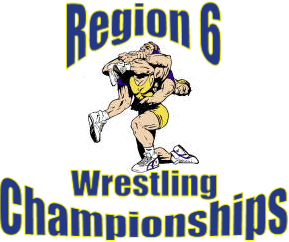 Rivera avenges 2014 Region final loss to Ghione. 13th Region Title for CBA; 2nd medal for Rivera. 2nd Title for McClave and his 3rd medal. 38th Region Title for TR South. 2nd Title for Iwama. His 2nd Title and his 3rd medal. 5th Region Title for Rumson. 1st Title for Russo and his 3rd medal. 6th Region Title for Liberty. 2nd Title for Wilhelm. 40th Title for Southern. 2nd Title for Donner and his 3rd medal. 18th Region Title for Wall. 2nd Title for Sherry. 13th Region Title for Brick Twp. 1st Title for Sutton and his 2nd medal. 1st Region Champion in Keansburg history. 1st Title for Freshnock and his 2nd medal. 13th Region title for North and their 1st since Molinaro in 2004.